Isn’t it the cutest thing you’ve ever seen? I know that you will all fall in love with the newest print by Thirsties; Polka Dance! 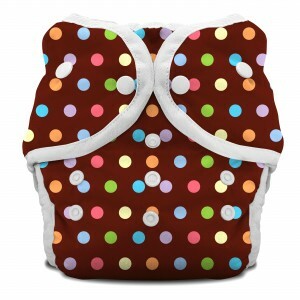 It’s available in the Duo line of diapers; AIO, Wrap, and Diaper – both in aplix and snap. Thirsties just release this print today and you can find it at your favorite cloth diaper retailer. It’s a very gender neutral print in my opinion; even with some pink and purple dots I would put this on a boy or a girl. The brown background is very modern and trendy! 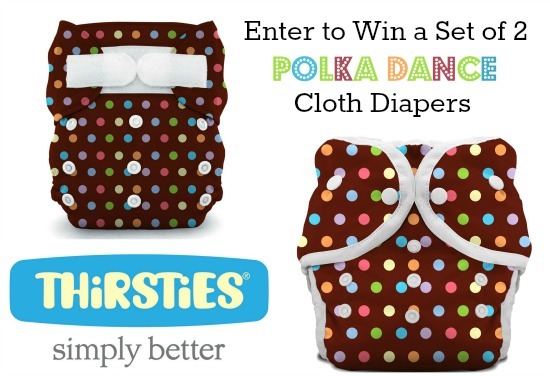 Would you like to win a set of TWO Polka Dance print diapers from Thirsties? The winner gets to decide which 2 diapers – Duo AIO, Duo Diaper, or the Duo Wrap – and gets to decide the closure and size. To enter complete the steps in the Rafflecopter below. Bonus Entry Option: Post this graphic on your Instagram account and be sure to tag me @TheEcoChic with the hashtag #polkadance. 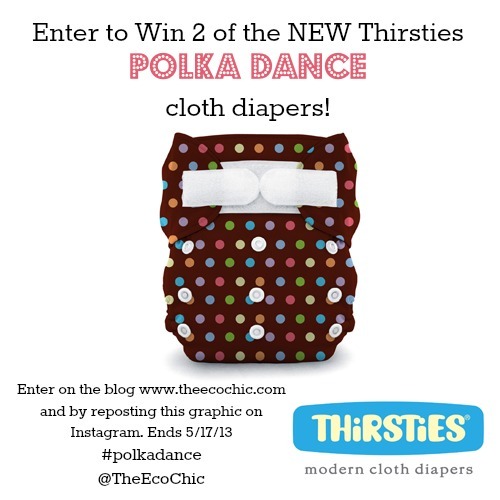 A few of my cloth diaper bloggy friends are also holding a reveal giveaway! Check them out and increase your odds of winning! Disclosure: This post is sponsored by Thirsties Inc. I received samples of the new diaper in exchange for this giveaway post. I am a long time supporter of this family owned company and would recommend their diapers to anyone! Pinky swear! Introducing the NEW One-Size Diaper from Thirsties (and giveaway) Givewaway: New Thirsties Wet Bags & Pail Liners Congratulations, it’s a…brand new Thirsties Newborn All-In-One Girls Just Want to Have Fun Giveaway Would you like to win $700 worth of cloth diapers and accessories? Super cute print. I think I would get the AIO in snaps. It’s cute. I’d pick the aio. I think these are ADORABLE! Love the polka dots. If I win, I’ll choose the duo aio and the duo. 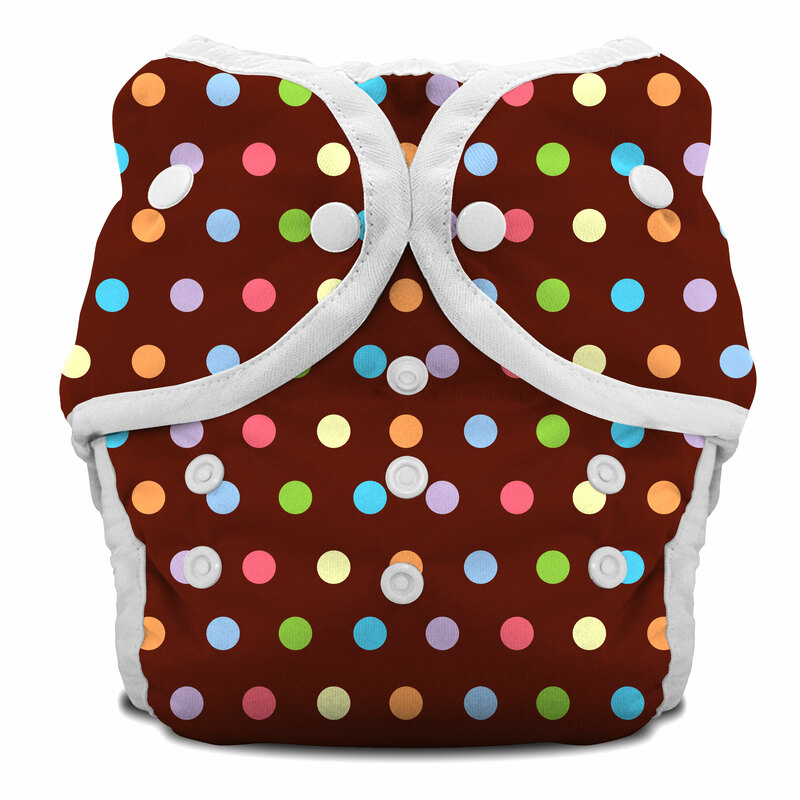 I would get the Duo diaper! I would love to try this diaper! Beautiful colors!! I would do polka dot cover in snaps! It’s just adorable! I love the new print! I would try the AIO. I love this new print. It’s my favorite from them so far. I think the print is super cute. I’d get the Duo Cover.